2nd Friday ArtWalk This Week! 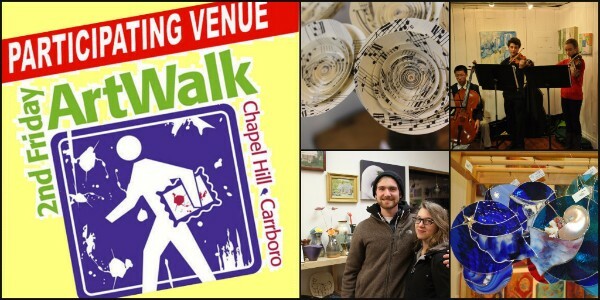 Enjoy ArtWalking and ArtShopping at 15 venues in Chapel Hill and Carrboro on the 2nd Friday ArtWalk! It's a great time to do your holiday shopping. 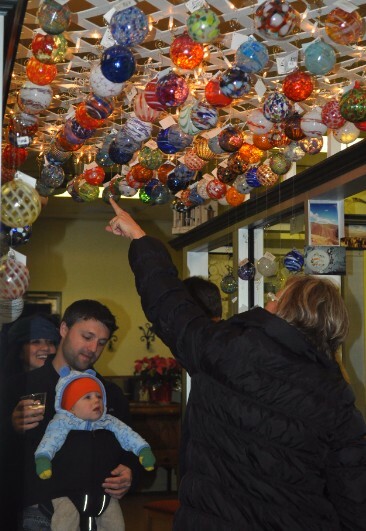 ArtWalk venues offer something for everyone on your gift-giving list. Even that uncle that is impossible to shop for! CLICK HERE for a full list of December's participating venues. Experience the creative arts scene in our community, explore venues, and socialize with other art lovers on the ArtWalk. Buy local art in all mediums; handmade jewelry, scarves, paper goods, ceramics, fine art, and more. Plan your walk! Click here for a map. Visit The Shrine Room and send Elvis your prayers! Do your holiday shopping for all on your list at Cameron's! Shop locally at WomanCraft for the holidays!